My Financepartner. 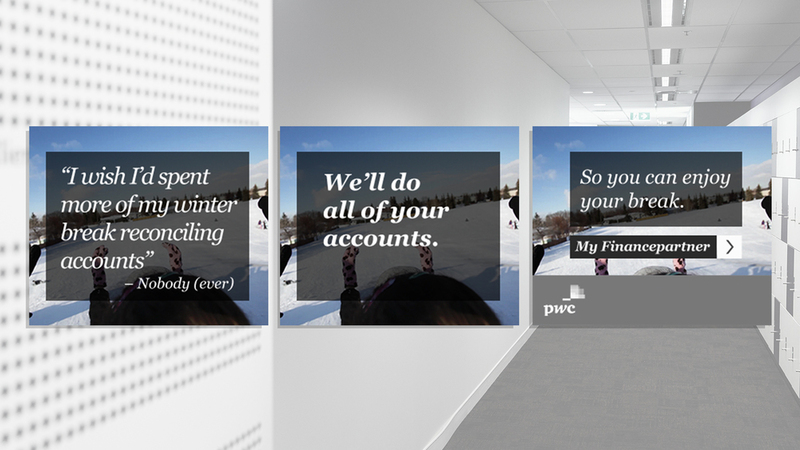 A smart new accounting product from PwC. Deemed somewhat too good to be true by many small and medium-sized businesses. 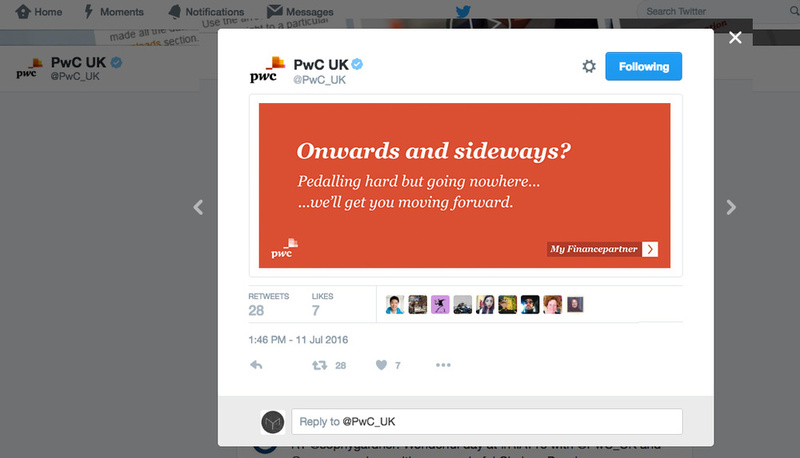 They thought it simply wasn’t possible to get all that PwC brilliance from as little as £500 a month. So initial take-up was slow. The Table were wheeled in for an eight-week multimedia creative test-and-learn campaign. We soon found the creative 'sweetspots'. Proved the product. Proved the best media mix. And won a slew of new converts. Not too shabby for two month's work.